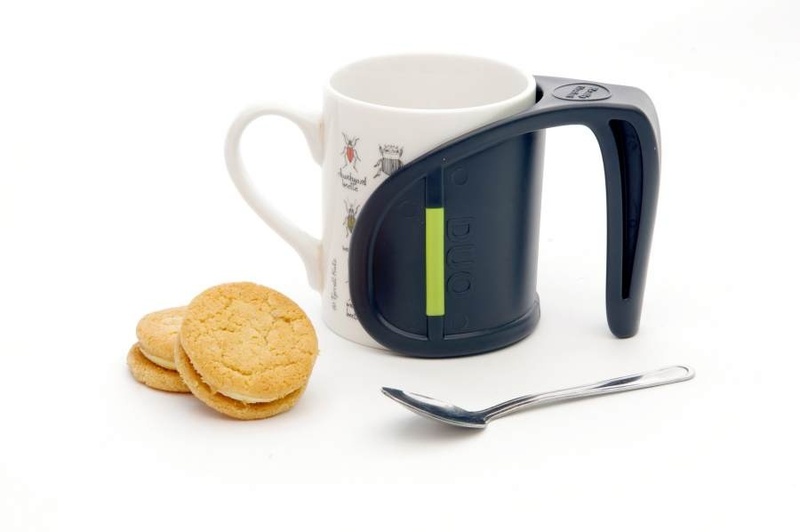 DUO is an innovative ergonomic handle that DUO is an ergonomic clip-on handle that allows you to hold a mug with both hands. Holding a mug with two hands increases grip and stability when drinking; DUO provides this benefit whilst also allowing you to use the same mugs as family and friends. DUO s wraparound style protects hands and fingers from hot mug surfaces, whilst its unique clip on design makes it easy to attach and detach without fuss. 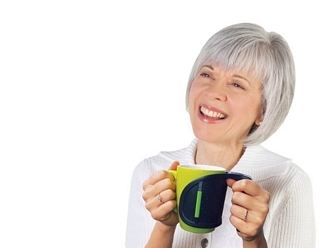 Please note that DUO is not intended to replace the original mug handle and you should lift your mug using both handles. Can hold cups/mugs of a diameter from 70-90mm. Care Instructions -Wash in warm water. Dry thoroughly before use. Reusable.